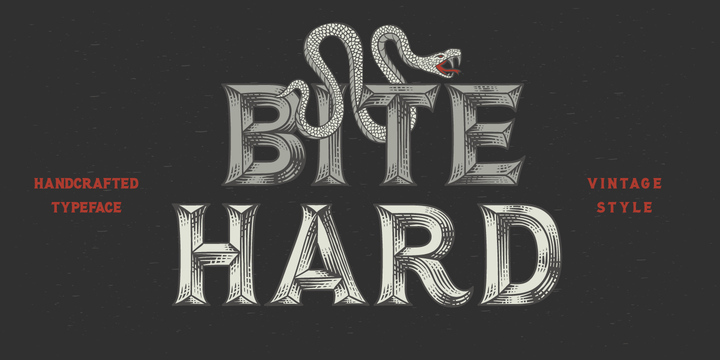 Bite Hard is handcrafted typeface with a vintage style created and published by Gleb Guralnyk. It is available in four variations (Bite, Hard, Base, Wire, Fx) which can be mixed. Also can be use for any kind of project. Enjoy! Price: all 4 fonts for only $16,00. A font description published on Tuesday, October 10th, 2017 in Fonts, Gleb Guralnyk, Gleb Guralnyk by Alexandra that has 2,504 views.